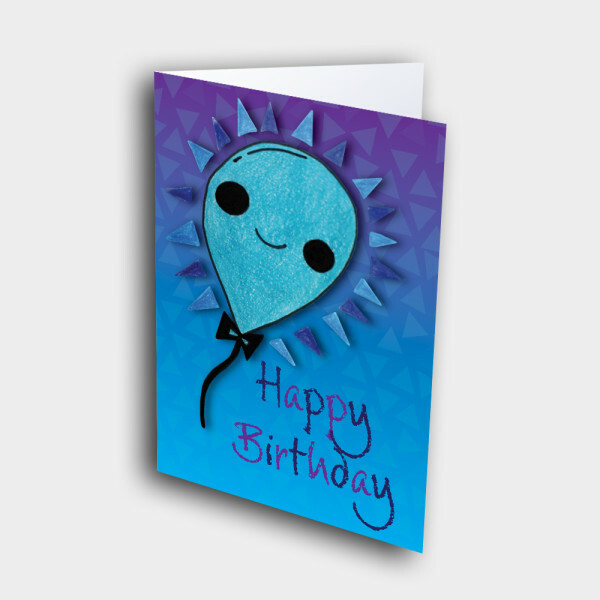 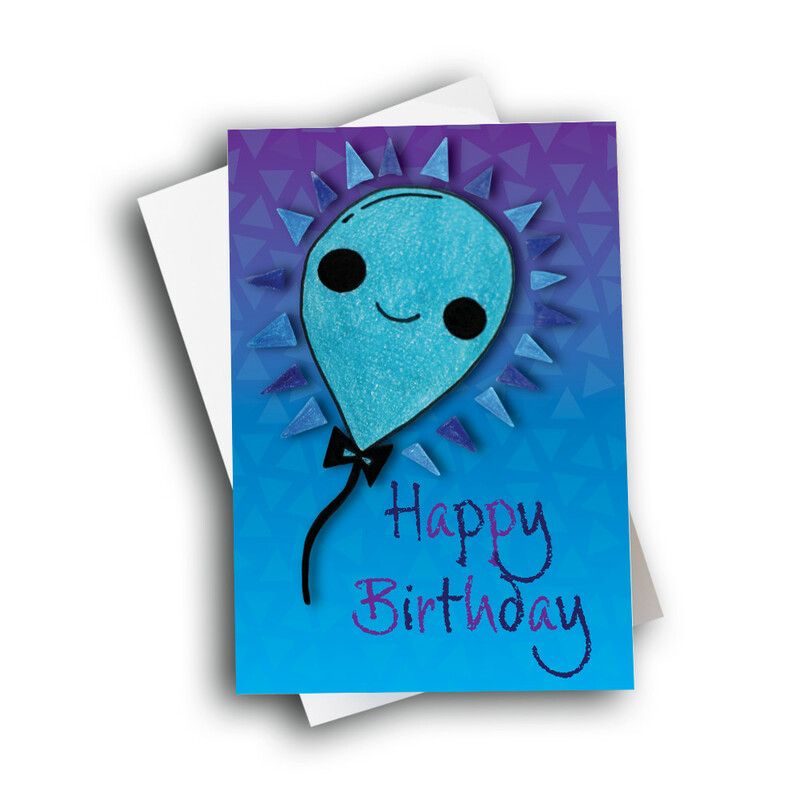 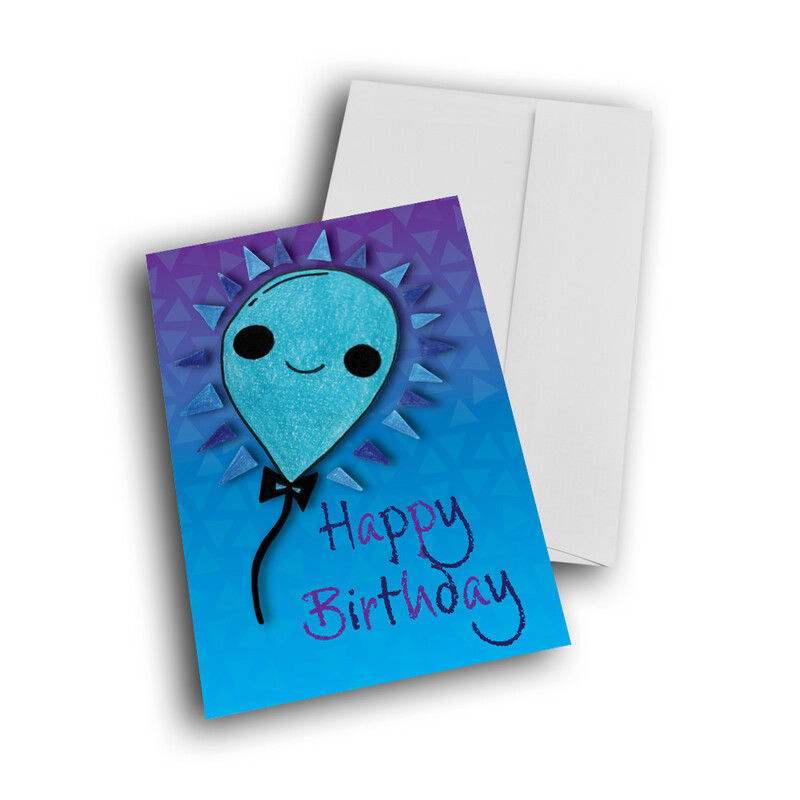 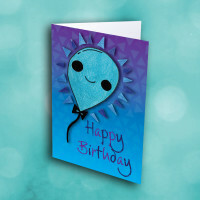 Send a smile and a birthday wish with this happy balloon birthday card. 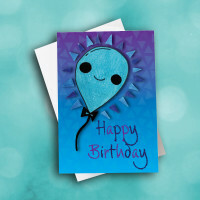 This birthday card is perfect for any baby, child, or child-at-heart, to bring some cheer into their special day. The bright blue balloon on the front smiles out at you as it floats, encircled in a halo of triangles, through the multi-hued, blue, patterned background. 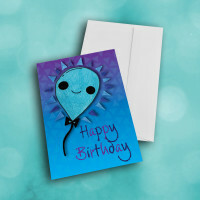 Add a custom message inside to make this a personalized birthday card.